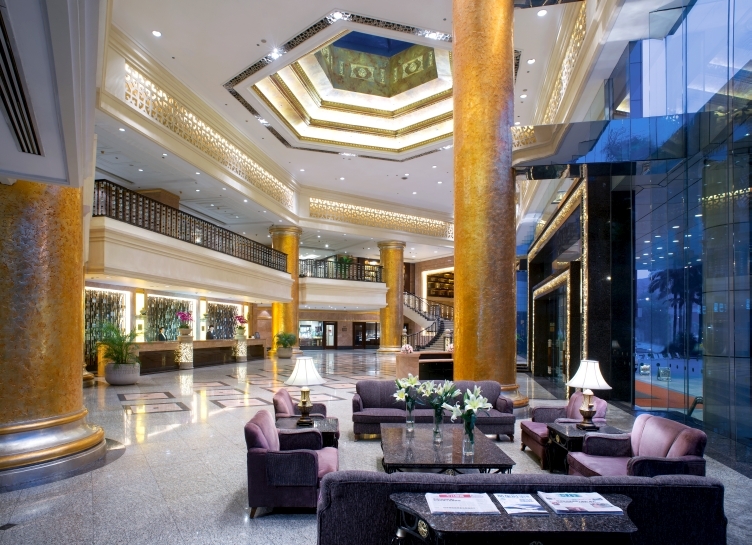 New World Shunde Hotel offers a range of elegant conference, event and wedding venues in a variety of configurations, with a choice of décor from classic to contemporary. 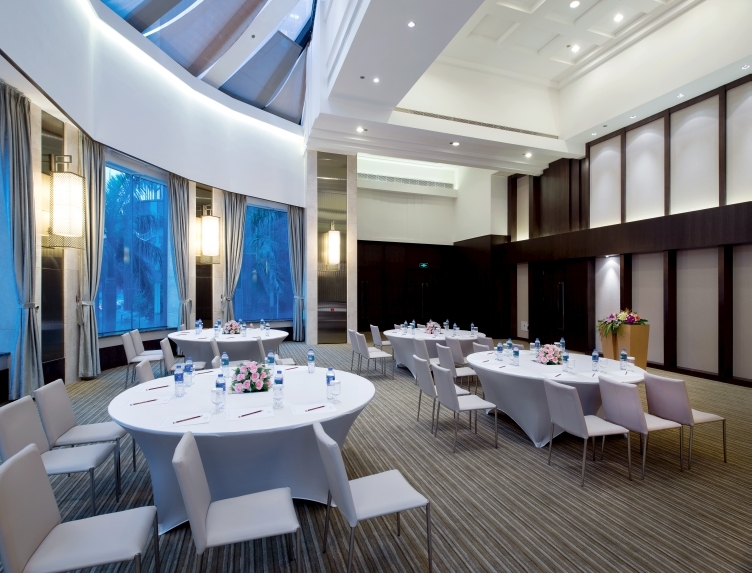 Every space has state-of-the-art audio-visual equipment and our experienced team takes pride in planning every detail to ensure that everything runs smoothly. 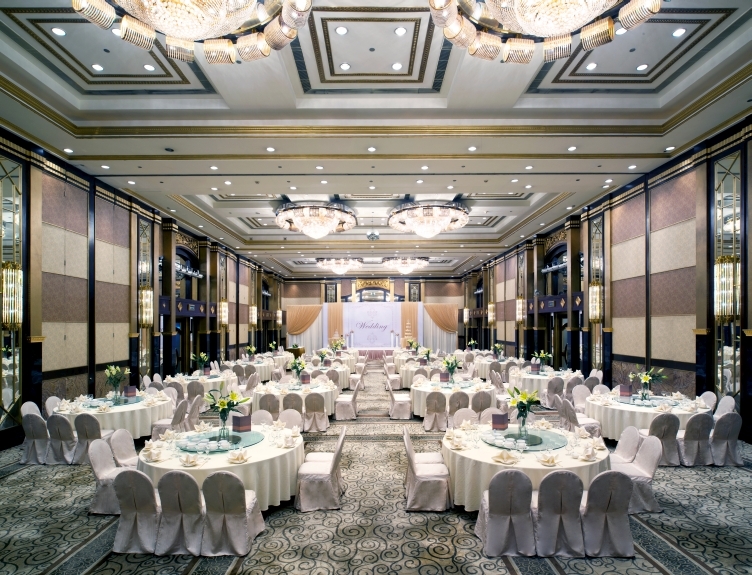 With a seven-metre-high ceiling and pillar-free open space, the 600-square-metre Crystal Ballroom is one of Shunde’s finest event spaces. 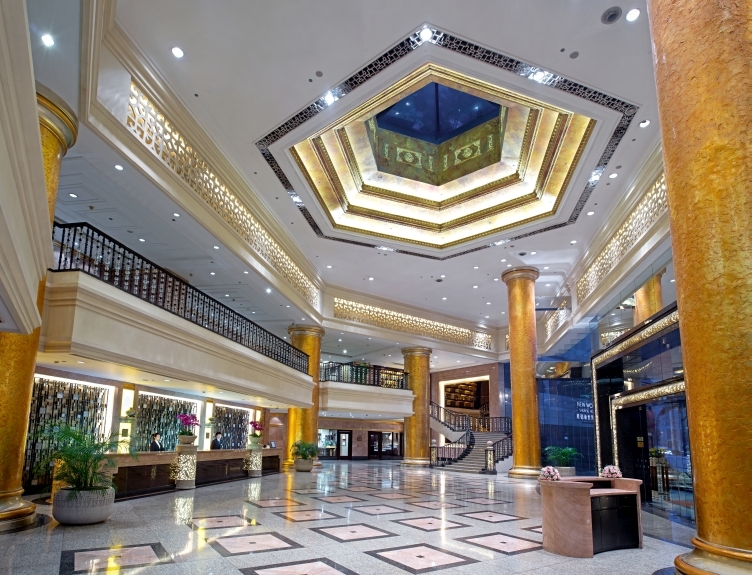 The ballroom also has a 238-square-metre foyer that can be used as a pre-function area for cocktail receptions, together with a 42-square-metre VIP room that is perfect as a bride’s preparation room. 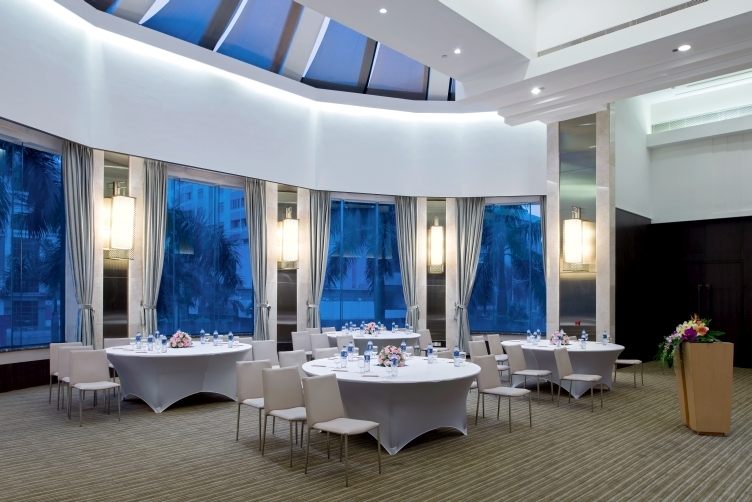 The venue has a capacity of 500 guests and it can be partitioned into three sections, each catering to 144 guests. 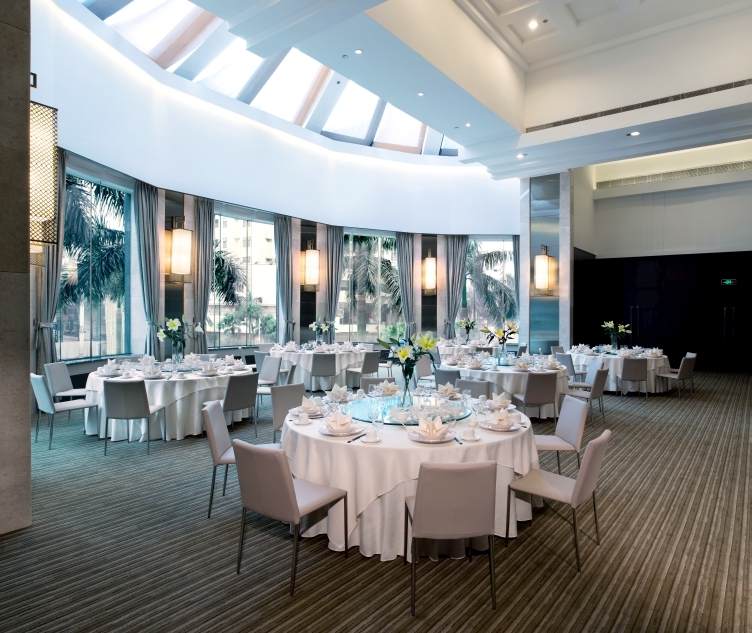 The new Jade Function Room is a semi-circular venue with a sleek, elegant interior in soft colour tones, a glass rooftop and extensive windows, which provide abundant natural light during the day. 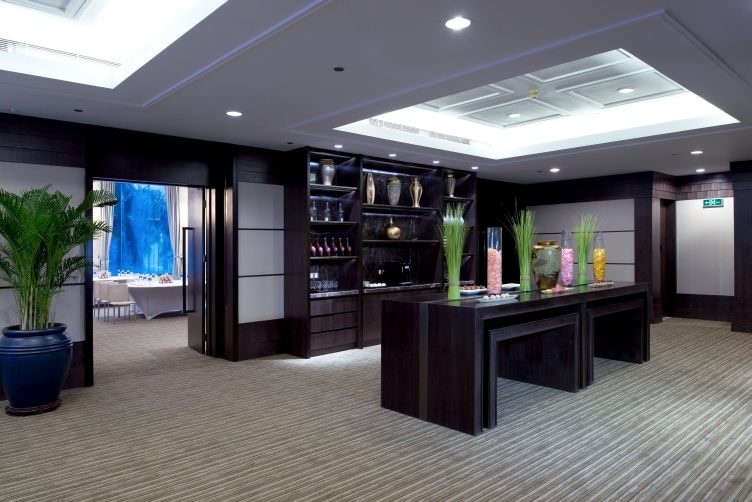 Its spacious pre-function area is warm wood tones and warm lighting, with exquisite pottery adding an earthy artistry. It also has a bar table and a coffee machine. 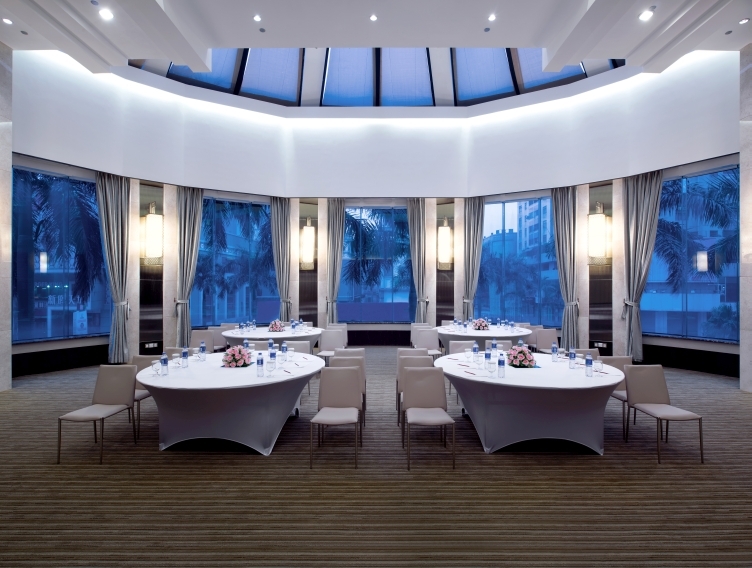 We recommend this room for business conferences, family gatherings, cocktail parties and intimate weddings. 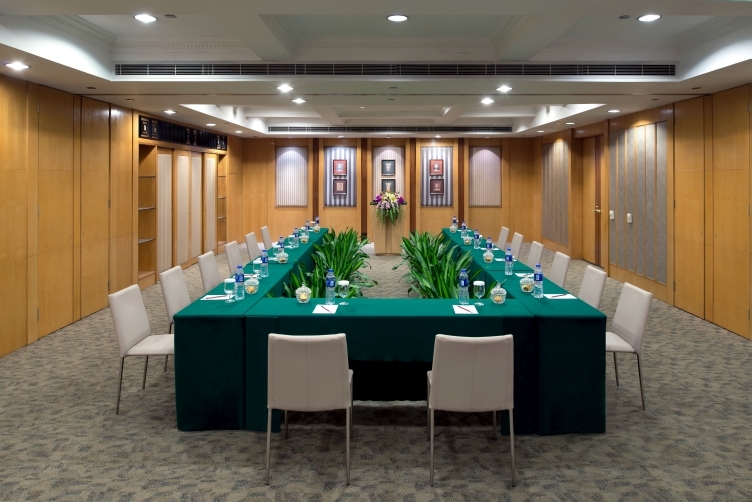 The hotel’s four multi-function rooms – Spring, Summer, Autumn and Winter – range from 43 to 50 square metres, and are the perfect choice for intimate weddings and small-scale meetings, such as press conferences and seminars. 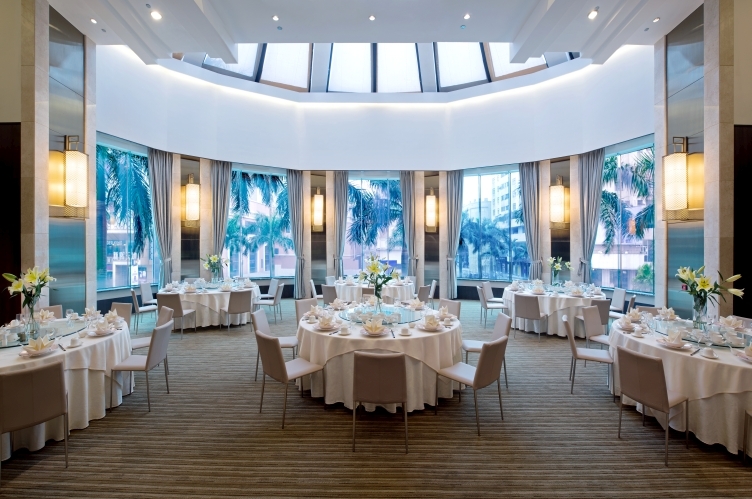 Two of the rooms can be connected to form a 100-square-metre space that can accommodate up to 100 people for a sit-down event or 60 people for a banquet.